Senior Scholar John F. Henry is professor emeritus, California State University, Sacramento, where he taught economics from 1970 to 2004. He also lectures at the University of Missouri–Kansas City, where he was a visiting research professor from 2005 to 2014. Henry’s research interests include the history of economic thought, economic history, and political economy. 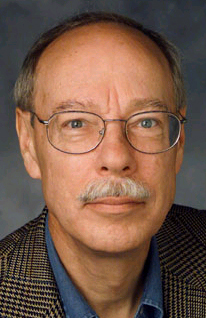 He is the author of John Bates Clark (Macmillan, 1995) and The Making of Neoclassical Economics (Unwin Hyman, 1990; repr., Routledge, 2011), as well as a contributor to 10 volumes of collected essays. He has published more than 50 articles and book reviews in academic journals, including the Journal of Economic Issues, Journal of the History of Economics Thought, History of Political Economy, Forum for Social Economics, Review of Social Economy, Review of Political Economy, Journal of Post Keynesian Economics, History of Economics Review, and Studi e Note di Economia. He has served on the steering committee of the International Confederation of Association for Pluralism in Economics and on the editorial boards of the Forum for Social Economics and Journal of Economic Issues, and is a past president of the Association for Institutional Thought. Henry is the recipient of the 2016 Veblen-Commons Award from the Association for Evolutionary Economics. He holds an MA and a Ph.D. in economics from McGill University.